We provide a variety of dental implant treatments for the replacement of missing teeth. Dental implants are the most lifelike and durable option for missing teeth. They look and feel completely natural, and with adequate care and maintenance can last a lifetime. Whether you are missing one, several, or all of your teeth, dental implants can be the most versatile solution. Implants can be used to support a single crown, a dental bridge or a full set of dentures. Because of recent technological advances in dentistry, most people are now candidates to receive dental implants. Below are our dental implant options. Dr. Perlman will place a titanium post directly into the jaw bone, which acts as a durable, stable, and long-term artificial tooth root. 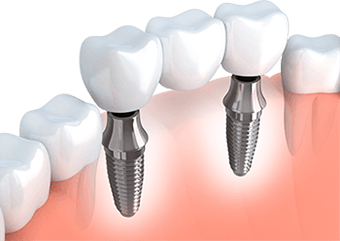 Once the dental implant is in place and has fused to the bone, a connecting piece, known as an abutment, is placed on top of the implant to support a dental crown. The implant-supported new tooth looks and feels incredibly realistic. Since the implant replaces your dental roots, your new tooth is firmly anchored in your mouth so you can enjoy complete dental function. Patients have said it’s often impossible to tell the difference between the implant tooth and their natural, healthy teeth. Where several teeth in a row are missing, Dr. Perlman can replace them with a bridge anchored to implants. An implant is not needed for each tooth being replaced as several teeth can be replaced with just two dental implants for support. Implant-supported bridges are strong and can provide nearly the same chewing and biting power of regular teeth. 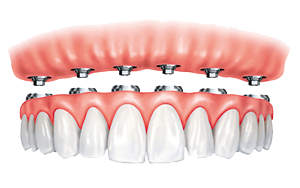 A series of implant-supported bridges can even be placed to replace an entire dental arch. Traditional dentures are difficult to wear: as they may involve messy adhesives, the need for refitting, gum soreness, and difficulty in chewing. These problems can be solved with implant-supported dentures. 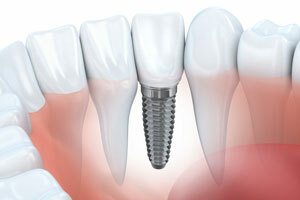 There are many advantages to using implants to support replacement teeth. Not only are they more stable than traditional dentures, but they also help to deter the bone loss in the jaw. 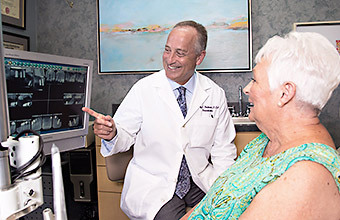 Dr. Perlman offers his patients various options for implant-supported dentures. 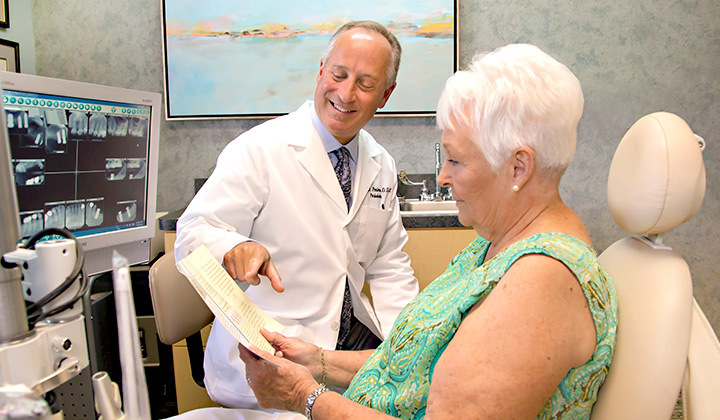 Dr. Perlman will place implants to support new dentures that can be snapped onto the implants and still be removed. The implant has a specially designed locator attachment that snaps into a receiving piece on the underside of the denture to hold it securely in place. Dr. Perlman assesses the number of implants that will be needed to ensure a stable fit, usually four for the upper arch and at least two for the lower. The improved ability to chew is one of the biggest advantages to implant-supported removable dentures. Since the dentures are anchored on the implants instead of the gum, they allow patients to bite much harder with no discomfort. There’s no need for the usual adhesives, and none of the pain and discomfort results from a traditional denture rubbing against the dental arch. 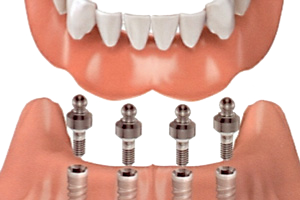 This is the most economical implant replacement solution for a full arch. If you are currently wearing dentures, it is sometimes possible for Dr. Perlman to place a series of implants in your arch and retro-fit your current denture so the implants and your denture will snap together and provide added support. 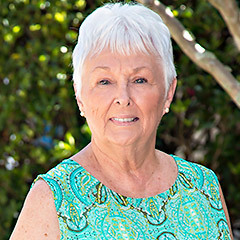 For people who don’t want to take their dentures out every day, non-removable implant-supported dentures may be the best option. This approach takes more implants than a removable implant denture, usually six to eight per arch. Dr. Perlman will determine the amount of implants needed to obtain the most stable outcome. When dentures are attached to implants, you never have to worry that they will loosen or slip. That means you can eat whatever you want, speak normally, and forget all about bothersome denture creams and adhesives. Dental implants are the most stable and lifelike option to replace missing teeth. 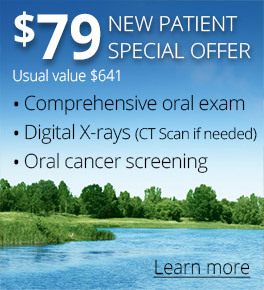 Find out if you’re a candidate by scheduling a comprehensive exam and consultation with Dr. Perlman.